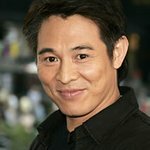 Following the devastating earthquake in China earlier this month, the 5.12 Sichuan Earthquake Disaster Relief Command has been formally set up by action star Jet Li in Chengdu. Li has established the relief effort with his One Foundation, a charity he set up to help those affected by natural disasters. The initiative aims to conduct long-term reconstruction work, and the Foundation has sent in three teams to organize and train volunteers in association with the Red Cross Society of China. Jet Li also expressed that One Foundation’s post disaster work will focus on sponsoring and supporting the elderly, orphans, and the disabled.